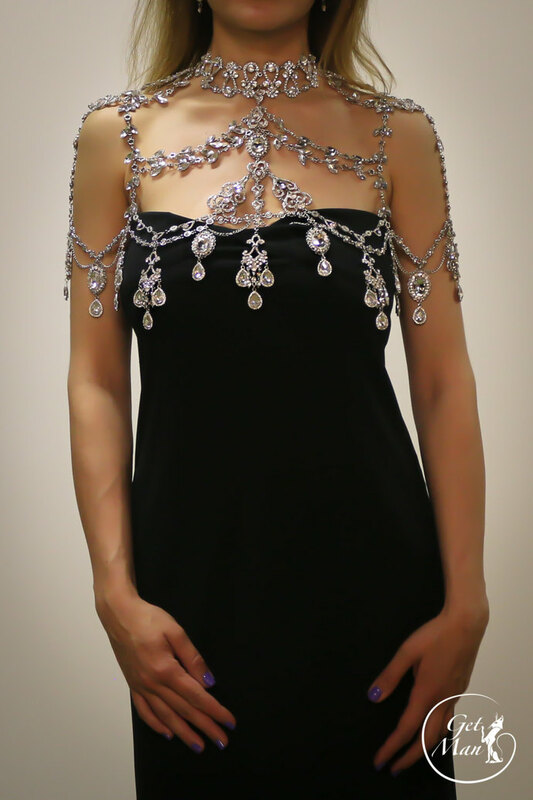 Shining shoulder necklace with an infinite crystal glitter. This is the fashionista’s choice for any bright parties and especially it’s great for your wedding stylish look. The necklace has a clasps behind the neck and behind shoulder blades.